This Agreement (the “Terms”) contains the exclusive terms and conditions between you and UserTesting, Inc., a California corporation with offices at 2672 Bayshore Parkway, Mountain View, CA, 94043, USA (“UserTesting”), and it governs your participation in user experience and usability studies (the “User Tests”). By participating in a test, you represent and warrant that you are 18 years of age or older and agree to abide by and to be bound by this Agreement. If you do not agree to all of the terms of this Agreement or if you are younger than 18 years old, you may not participate in a test. 1.1 Platform and Usability Testing. UserTesting shall solely own all right, title, and interest in and to all results of your Usability Testing, including all video and audio recordings you create, conclusions, suggestions, comments, and any related reports made by you or in connection with your Usability Testing under this Agreement (“Testing Results”). You hereby assign to UserTesting, for no additional consideration, any invention, work of authorship, mask work, idea, process, or know-how (whether patentable or not) that is conceived, learned, or reduced to practice in the course of performance under this Agreement and sole ownership of any related patent rights, copyrights (including moral rights, provided that non-assignable moral rights are waived), trade secret rights, mask work rights, and other rights. You agree to take any action reasonably requested by UserTesting, at UserTesting’s expense, to evidence, perfect, obtain, maintain, enforce, or defend such rights. All User Test content is to be treated as extremely confidential. By consenting to this Agreement, you agree to protect and to hold confidential any Proprietary Information provided, used, or arising in connection with Usability Testing. You agree that you shall not use or disclose (except as expressly authorized by this Agreement) Proprietary Information, unless such Proprietary Information becomes part of the public domain. UserTesting clients are third-party beneficiaries to this Agreement, which means that they may enforce these confidentiality obligations against you directly. In some cases, UserTesting clients may also require that you sign a Non-Disclosure Agreement directly with them. Without limiting these obligations, you specifically agree to keep in absolute confidence and not to disclose or discuss with anyone, even family members, any information about the Usability Testing you receive or provide through your participation in a User Test, including any information about any UserTesting client. You are responsible for having a valid e-mail address as well as any equipment and communication services necessary to participate in the test. Testers must download UserTesting’s screen recorder during the course of the test. 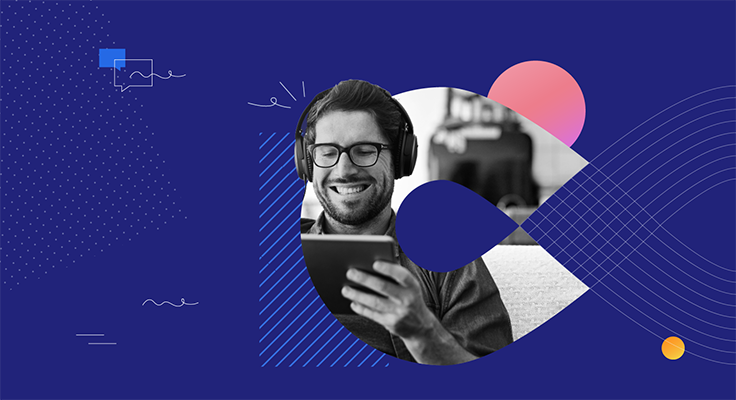 UserTesting grants you a limited, royalty-free, non-transferable, non-exclusive right and license to use the Screen Recorder on your personal, non-commercial device, solely for the purpose of providing Usability Testing services to clients of UserTesting. 3.5 Usability Test Recordings and Device Access. You agree that UserTesting may collect video or photographic recordings of your face, audio recordings of your voice, and may access the device on which you download the Screen Recorder to capture screen recordings of your actions during User Tests, including your answers to various questions and related verbal or written commentary and any sights and sounds that arise during your participation in a User Test. UserTesting may post on its Site audio and video content that you provide while performing Usability Testing services, provided that UserTesting will not post your full name or other personally identifiable information. UserTesting will take reasonable precautions to limit use of such information, however, you acknowledge that third parties may develop means by which they can circumvent such precautions and download such audio and video content. In such case, UserTesting shall not be liable for such third party downloading. Some UserTesting clients may require you to share additional personally identifiable information or sensitive information in order to properly perform Usability Testing. For such User Tests, UserTesting or the client will seek your explicit consent before collecting or sharing such information. You understand that UserTesting takes steps to ensure that your Tester Information is treated securely, but no Internet transmission or method of electronic storage is 100% secure or error free. You acknowledge and agree that UserTesting cannot guarantee the security of any information provided by you and that you provide information at your own risk. We control and operate the Usability Testing services from our offices within the United States of America. If you participate from locations outside of the United States, you do so on your own initiative and at your own risk and are responsible for compliance with applicable local laws. The parties acknowledge and agree that Usability Testing is experimental in nature and that any and all Proprietary Information is provided “AS IS” and may not be functional on any machine or in any environment. TO THE MAXIMUM EXTENT PERMITTED BY APPLICABLE LAW, THE RELEASED PARTIES DISCLAIM ALL WARRANTIES, EXPRESS OR IMPLIED, INCLUDING BUT NOT LIMITED TO, ANY WARRANTIES OF MERCHANTABILITY, FITNESS FOR A PARTICULAR PURPOSE, NON-INFRINGEMENT, AND ANY IMPLIED WARRANTIES ARISING FROM COURSE OF DEALING OR COURSE OF PERFORMANCE FOR THE PLATFORM, USABILITY TESTING, ELEMENTS AND ANY OTHER INTERACTION THAT YOU MAY HAVE WITH THE RELEASED PARTIES. ANY MATERIAL DOWNLOADED OR OTHERWISE OBTAINED THROUGH THE PLATFORM OR USABILITY TESTING IS ACCESSED AT YOUR OWN DISCRETION AND RISK, AND YOU WILL BE SOLELY RESPONSIBLE FOR ANY DAMAGE TO YOUR DEVICE OR LOSS OF DATA THAT RESULTS FROM THE DOWNLOAD OR USE OF ANY SUCH MATERIAL. IN NO EVENT WILL THE RELEASED PARTIES BE LIABLE TO YOU OR ANY THIRD PARTY WITH RESPECT TO ANY MATTER ARISING OUT OF OR RELATED TO THIS AGREEMENT UNDER ANY CONTRACT, NEGLIGENCE, STRICT LIABILITY, TORT, BREACH OF WARRANTY, OR OTHER THEORY (A) FOR LOSS OR INACCURACY OR CORRUPTION OF DATA, OR (B) COST OF PROCUREMENT OF SUBSTITUTE GOODS, SERVICES, OR TECHNOLOGY, OR © FOR ANY INDIRECT, SPECIAL, INCIDENTAL, CONSEQUENTIAL, EXEMPLARY, OR PUNITIVE DAMAGES, INCLUDING, BUT NOT LIMITED TO, DAMAGES FOR LOST REVENUES, LOST PROFITS, GOODWILL, USE, DATA, OR OTHER INTENGIBLE LOSSES (EVEN IF THE RELEASED PARTIES HAVE BEEN ADVISED OF THE POSSIBILITY OF SUCH DAMAGES). IN NO EVENT WILL THE RELEASED PARTIES’ AGGREGATE LIABILITY TO YOU UNDER THIS AGREEMENT EXCEED THE LESSER OF ONE THOUSAND DOLLARS ($1000) OR THE AMOUNT PAID OR PAYABLE TO YOU FOR PROVISION OF THE USABILITY TESTING SERVICES. YOU FURTHER AGREE THAT THE LIMITATIONS OF LIABILITY ABOVE WILL SURVIVE ANY TERMINATION OR EXPIRATION OF THIS AGREEMENT AND WILL APPLY EVEN IF ANY LIMITED REMEDY SPECIFIED HEREIN IS FOUND TO HAVE FAILED OF ITS ESSENTIAL PURPOSE. You agree to defend, indemnify, and hold harmless the Released Parties and their employees, suppliers and licensors, clients, and their respective officers, directors, employees, agents, subsidiaries and affiliates, from and against any third-party claim, demand, liability, loss, damage, cost or expense (including without limitation reasonable legal and accounting fees) arising out of or related to: (A) your participation in Usability Testing; (B) your use of any Proprietary Information provided or obtained in connection with Usability Testing; © your failure to comply with this Agreement, including, without limitation, your disclosure of any Proprietary Information that is provided to you; (D) your infringement, violation, or misappropriation of any third party rights; or (E) any violation of applicable laws or regulations. The Released Parties shall promptly provide notice to you of any such claim, demand, liability, loss, damage, cost or expense. EACH PARTY RECOGNIZES AND AGREES THAT THE WARRANTY DISCLAIMERS AND LIABILITY AND REMEDY LIMITATIONS IN THIS AGREEMENT ARE MATERIAL, BARGAINED FOR BASES OF THIS AGREEMENT AND THAT THEY HAVE BEEN TAKEN INTO ACCOUNT AND REFLECTED IN DETERMING THE CONSIDERATION TO BE GIVEN BY EACH PARTY UNDER THIS AGREEMENT AND IN THE DECISION BY EACH PARTY TO ENTER INTO THIS AGREEMENT. By agreeing to these terms you acknowledge and agree that we may use, store and process personally identifiable information (or “Personal Data”) which you provide to UserTesting, including email and other related information that may be collected as part of a User Test or for the purpose of UserTesting Services to UserTesting’s customers (the “Agreed Purpose”). You also agree that, as a data controller of your, the data subject’s, Personal Data, we may process and transfer personally identifiable Information to our data centers in strategic locations (including, but not limited to, the United States, Singapore and Ireland) to support UserTesting’s customers in those regions and in other jurisdictions outside of the European Economic Area (“EEA”), which may have different data protection standards to those protected in the EEA, in connection with the Agreed Purpose, in order to enhance the responsiveness of the Service we provide and allowed for improved access and uptime to UserTesting’s customers. 5.2 Changes to this Agreement. 5.3 Option to Exercise or Enforce. 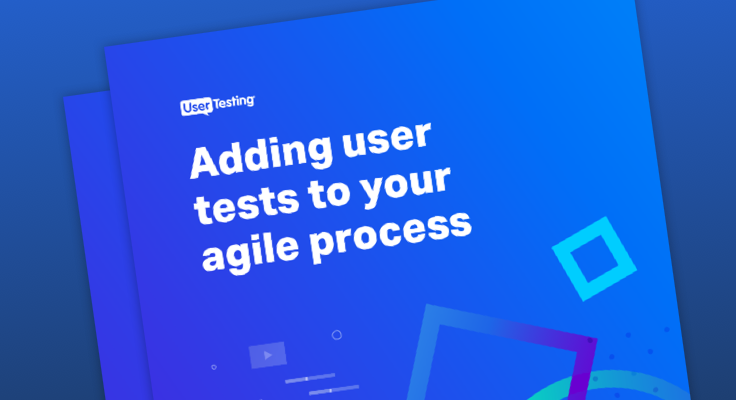 You agree that UserTesting may communicate with you electronically or telephonically regarding this Agreement, Usability Testing, security, privacy, and administrative issues.